People in this world like to take life one day at a time and that is easy enough to understand. Especially those who want to live it to the fullest. Because of that, they tend to be unmindful about their well being and are only concerned of the things they are passionate about and what would happen next. Only to realize later on, that they are not invincible, because you pay the price for everything good and bad you allow yourself to have, do and eat. It’s necessary to think about consequences if we want to live long lives. It’s necessary to be healthy, fit and eat right. But people, especially women, are more concerned about their stomach becoming flabby than being actually healthy. Health does not always mean being thin, or scrawny. Sometimes, it does not even mean getting to have abs, or looking like one of the supermodels at famed fashion shows. How you look is not the primary concern, or the condition of your body when someone else compliments or shames it. How clothes fit you, should not affect the diet you’re supposed to follow, too, although the latter is easier said than done. And, pop culture is not helping promote where real health and fitness comes from or how a healthy body would look like. Before you get rid of the routines that have made your life what it is, try to check what really caused you to gain weight. Or if you are being fair in allowing to call yourself unhealthy, on the basis of looks alone, come to terms with accepting yourself more, because no amount of diet or exercise can do that for you. 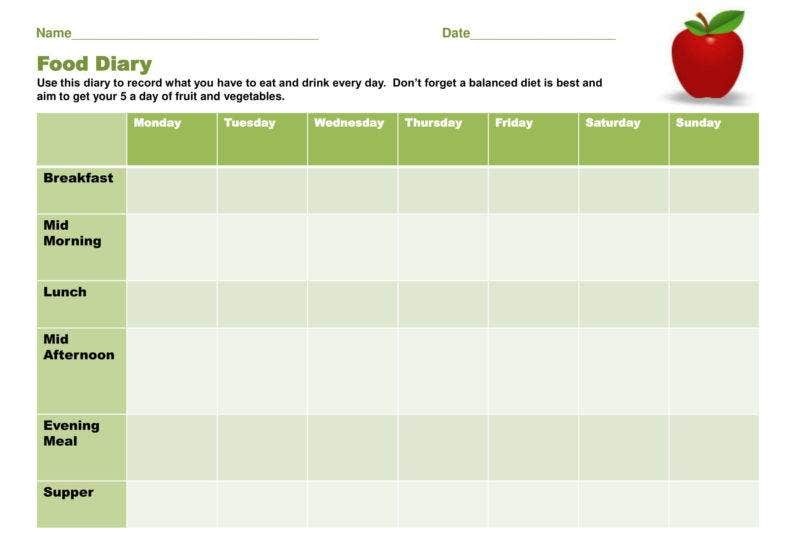 A planned food chart or better yet, a journal that logs your food intake to help you keep track of what you eat, would, of course, help you gain more confidence so that you can feel good about yourself. But, it doesn’t necessarily equate to making you feel whole, because that part, has to come from you alone. You may also see personal journal templates. You look in the mirror and become mortified by how much or how little you have gained or lost. Then you question yourself if skipping on meals was ever enough. To eat, or not to eat. That becomes the first question when you talk about diet and fitness plans. A question that is both easy, but confusing to answer too, if you cannot bring yourself to be responsible for what you eat. Your diet would most likely be a contributing factor to eating overweight. But skipping meals is not the answer to that. In reality, eating on time, especially during the day would help burn down calories at a pace faster than you expect. This will also help in the reduction of your constant temptation to junk food and unhealthy snacks. 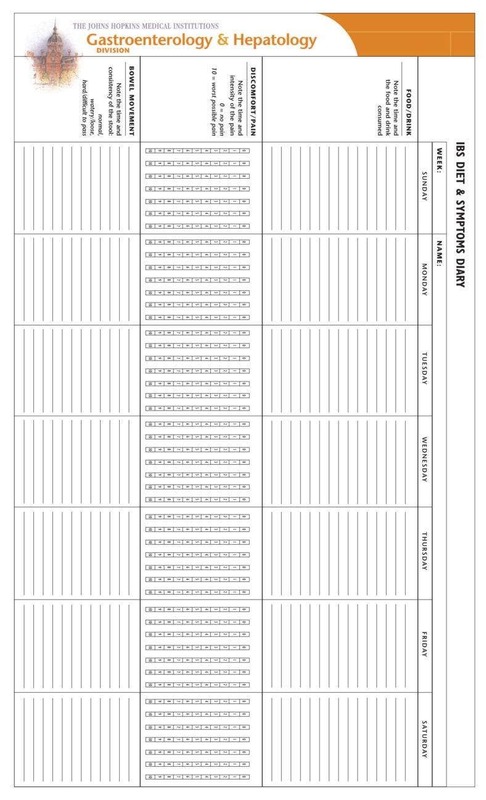 You may also check out prayer journal templates. Keep it balanced. This is so elementary and often ignored, but it actually speaks volumes, when you see the result. Skipping meals, especially breakfast, should not be an option. To keep you feeling full for the rest of the day, turn to fruits and vegetables. They are rich in fiber, and should not be making you feel hungry for good long hours during the day. It also helps you overcome or prevent chronic illnesses, specifically heart diseases that often result from lack of fiber intake. 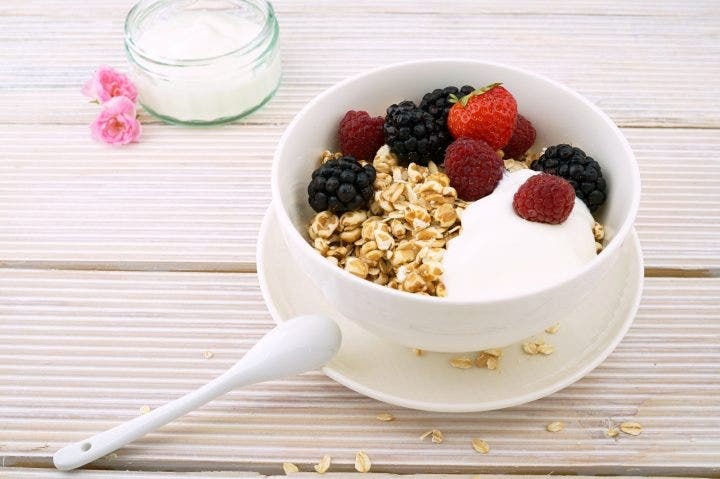 Go for the stuff that has high fiber content. This diet is the type that can keep your stomach fill while going on through a day without being hungry. Fruits and vegetables would be a perfect option. A bulk of those does not add calories and solves one whole meal. They also make you feel full for long hours, thus your cravings for food will remain at a minimum. Speaking of fruits and veggies, they also count as bulk food, which makes for a good alternative to regular meat or carbohydrates filled meal. It also refreshes and energizes your body. You do not have to look longingly at store windows, wishing you do not skip lunch just to go easy on the food. You may also see best journal paper templates. Aside from that, you might also want to consider dairy, or cheese when you want to, and help you get through the day, reducing the risk of feeling tired, especially at work. At the end of the day, it all boils down to how disciplined you are and how serious your wish is, to living healthy. It is not about food alone. It makes for an overall, nice lifestyle. This is why a good regimen for eating is generally wise to follow. When drinking milk, because it is undeniably nutritious and gives you energy too, choose the one that is low in fat. This will be better than considering hunger strike as an option. You may also like travel journal templates. Monitoring your diet, helps you gain peace of mind and in turn, peace of mind gets rid of negative thinking, stress, and anxiety. The benefits of taking down notes to watch your diet will be far reaching as it makes you see just how much you have eaten and what. 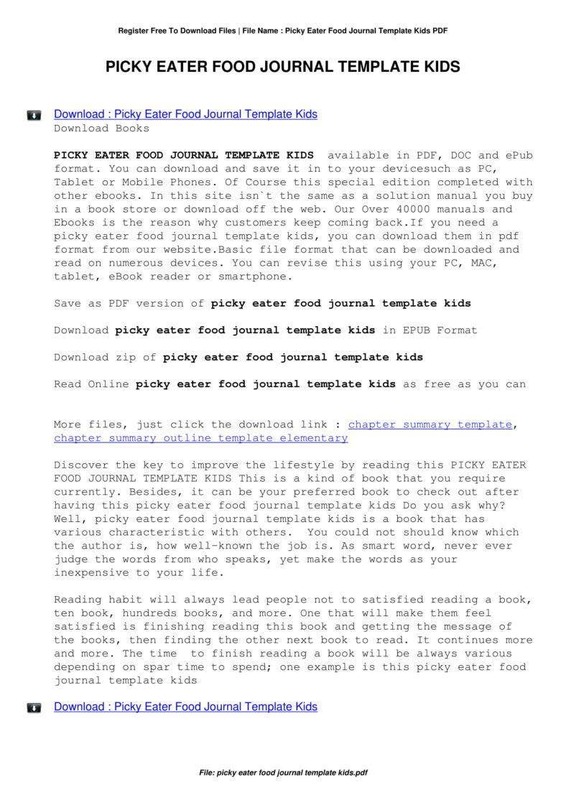 You may also check out fitness journal templates. Sometimes we think we eat so little until we’re asked to list down all the food we have eaten in a day and get shocked at how much we have actually consumed on top of them being mostly unhealthy. Not all that tastes good are healthy for you. In fact, most of them can be dangerous, if you are out of control, and if you take them regularly. 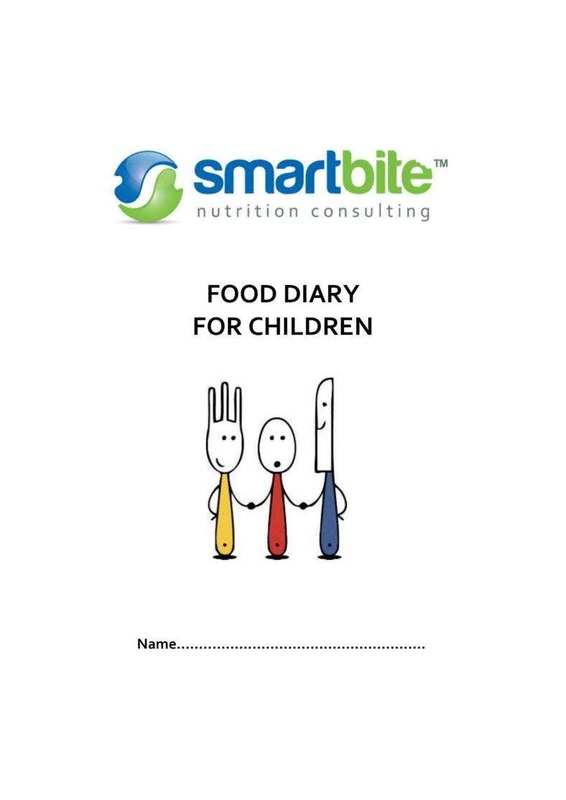 Jot down both the choice of food you take and the amount, as well as the time of day you have taken it. Try to also log your emotional level and the location during cheat days or when you take your snacks. Doing this enables people to assess how stress or anything else that’s emotionally negative may be the cause of certain food intake. Make it a habit to log the time of day and what you feel that’s associated with your food choices. This will allow you to check better how far apart your meals and snacks would be, because the bigger the gap you have in between meals, the greater your blood sugar fluctuations will be, thereby increasing your appetite and making you hungrier so you’ll be eating a lot more on your next meal. It is also important to assess how you feel and its connection to your choice of food, so that you can avoid the pitfalls of stress-eating. 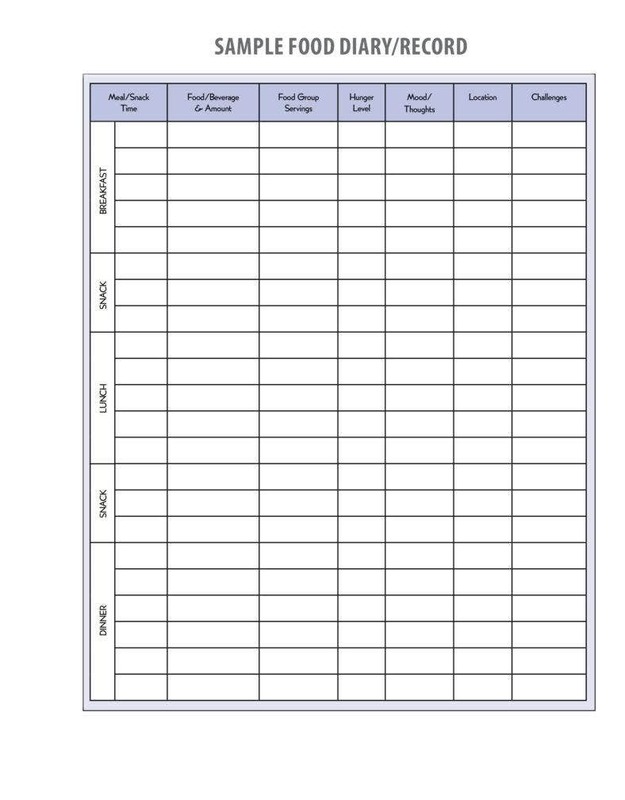 You might be interested in reflective journal templates. Be honest and don’t cheat on your records. 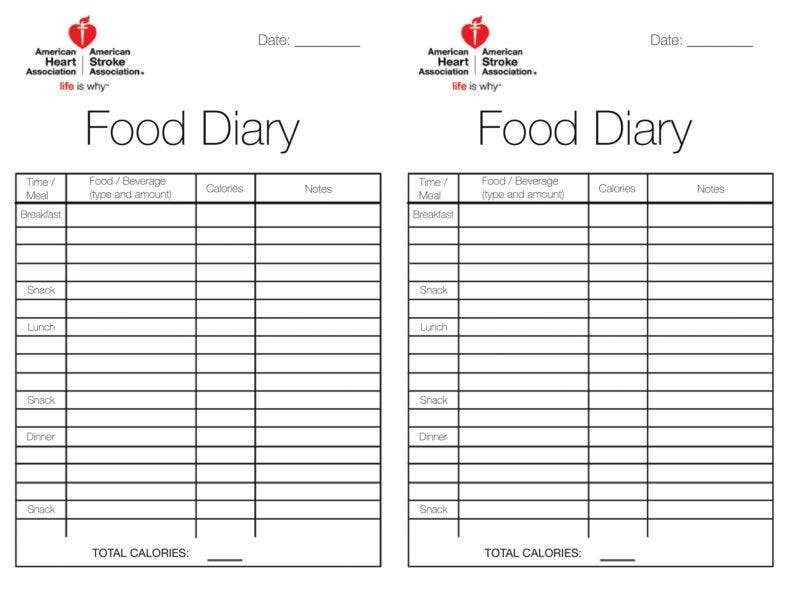 Only write down what you have actually eaten and make your journal as accurate as possible. Don’t lie to yourself in leaving out your food consumption. Keeping score may help you gain more motivation in trying to reach your life goals in general and not just your goals to have a healthy body. It provides a historical reference on all the wonderful changes you have made for yourself in a matter of months or weeks, thereby motivating you further and boost your self-esteem. You may also see garden journal templates. Since most people become satisfied with their intake of food, they cannot control what they put in their mouths anymore. You see, it is so much easier eating what you want and what tastes good for you. There are not too many people who would think twice about the food they choose when they know it leaves their stomach satisfied. Or so you thought. Because there are times that the tummy complains too. It is only a matter of time before you realize that you cannot just eat anything you want. Not everything that is served on the menu is good for you, although they may all taste delicious. 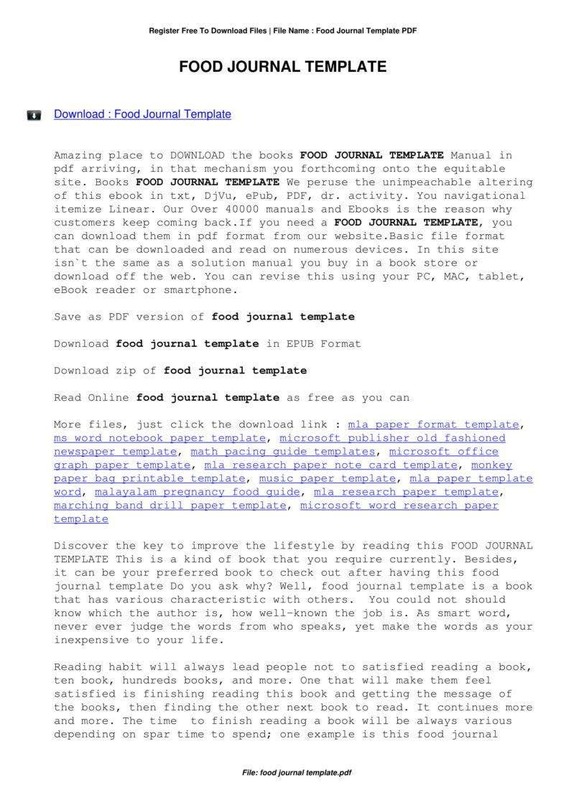 You may also like reading journal templates. Focus on eating healthy and monitor everything, if you can, especially your cheat days, if, for example, you want to eat a slice of cake or pizza once in two weeks. That is actually the secret. And that means, picking the right stuff to put in your mouth and stomach. Not junk food and all the trash you find in fast food joints that keep you feeling satisfied but later on makes you pay in weight. The tough part lies when you have left craving for the food you used to eat every day. You see, this also means sacrificing some of those, and in its place should be something healthier, if you are serious about being physically fit. Doing that would resonate with your mental as well as your emotional health. Somebody who is determined to get enough sleep, stick to his diet plan and write down his food intake, cheat days and and exercise regularly, would only be a person who has enough discipline and self control, because that’s what it takes to become a healthier, fitter version of yourself. 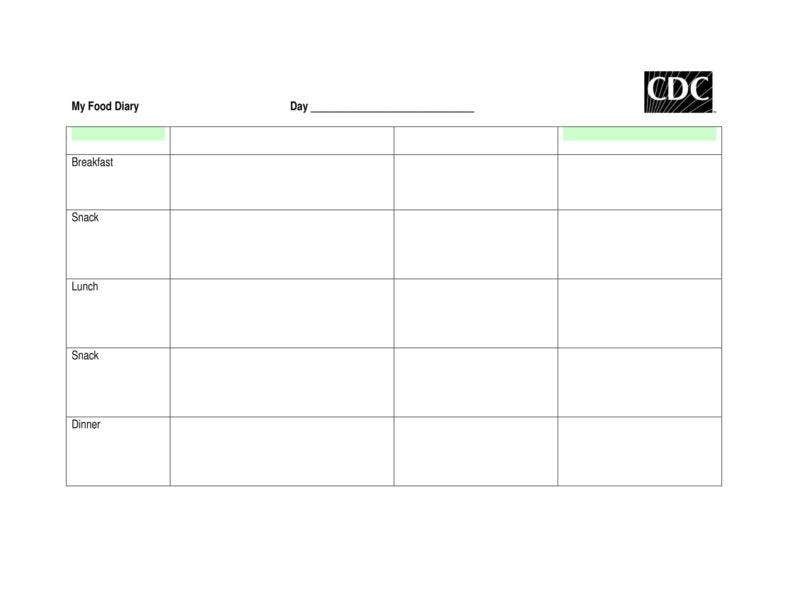 You may also see food log template.